General Douglas MacArthur, "liberator" of the Philippines, shogun of occupied Japan and mastermind of the Inchon invasion, was an admired national hero when he was relieved of his command by President Truman in April 1951 for insubordination and disobedience. Earlier in his career he had supervised the eviction of the "bonus marchers" from Washington, DC on July 29,1932 in a controversially heavy-handed fashion. Retired from active service in December 1937, he was soon recalled to active duty as lieutenant general and named commander, United States Army Forces in the Far East, July 1941; was promoted to temporary general, December 1941; led American forces in Pacific campaigns as Supreme Allied Commander, 1941-1945; was promoted to temporary General of the Army December 1944; received the Medal of Honor for Philippine defense preparations and operations; was appointed Supreme Allied Commander, Japan, 1945; rank as General of the Army made permanent, April 1946; was designated commander in chief, Far East Command, 1947; upon the North Korean invasion of South Korea, was designated commander, United Nations Command in the Far East, July 1950. "At the time of MacArthurs removal President Harry S Truman was also a Past Grand Master of the Grand Lodge of Missouri. Before dismissing General MacArthur, President Truman consulted with his advisors, which included Generals George C. Marshall who was Secretary of Defense at the time, and Omar N. Bradley who was chairman of the Joint Chiefs of Staff. 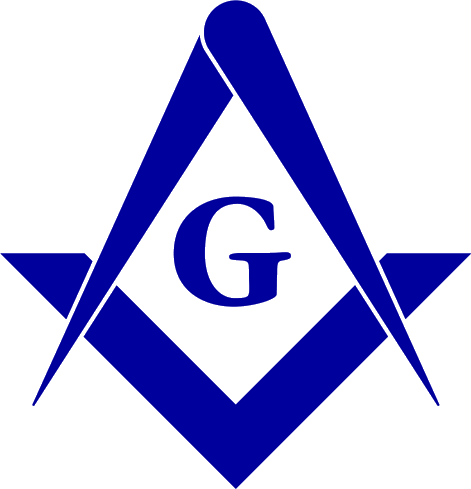 In December of 1941, George Marshall had been made a Mason "at sight" by the Grand Master of the Grand Lodge of the District of Columbia. Omar Bradley had been raised in West Point Lodge No.877, Highland Falls, New York in 1923. Dean Atcheson and Averell Harriman were also consulted. The recommendation to dismiss General MacArthur was unanimous... it was not the best of times for the Craft. 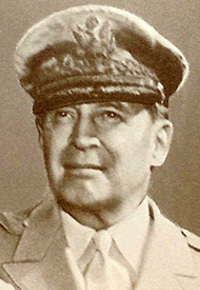 Douglas MacArthur was relieved by Lieutenant General Matthew B. Ridgeway who was also a freemason. Like Bradley, he was a member of West Point Lodge No. 877, and was raised on May 1, 1924." Source: Herbert G. Gardiner, PGS, Grand Lodge of Hawaii F,& A.M .